You can learn how to pray the Rosary with our Catholic Rosary videos. You can also pray the Rosary online with your Rosary prayer group and use our audio Rosary from your phone while traveling. Use the beads to keep track. Truly, it's important to learn to pray the Rosary with love and devotion. Gather your thoughts and think of Jesus and Mary and the mysteries. Make a sincere petition for a specific grace. Try to keep your mind on God in spite of distractions. Love and this habit will help you pray well. Below the videos, we also recommend other aids for praying the Rosary like a devotional book, a free Rosary diagram, and homeschool worksheets. 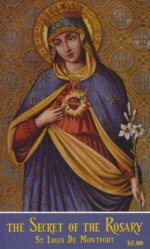 These Catholic Rosary videos are show the 15 Mysteries of the Rosary and are great for praying the Holy Rosary and joining with "someone to pray the Rosary ". You can bookmark this page for your daily Rosary, too. Praying the Rosary is actually easy. By the time you say one Rosary you will probably have learned the main Rosary prayer, the Hail Mary. See our printable charts below. The 15 decade Rosary is basically a simplified Psalms of the Bible that King David wrote. There are 15 Promises of the Rosary as given by the Blessed Virgin Mary herself. It's also the basis for the 54 Day Rosary Novena. Ghost (put your right hand to your right shoulder). Amen (fold your hands in front of you with the classic "praying hands" form). Is now, and ever shall be. Amen. G. What Is A Rosary Decade? One Glory be to the Father. That's it! Easy. There are other devotions that you can add or that your parish might use, but learning how to pray the Rosary really is this simple. Please remember us in your prayers and as you use our free Rosary diagram and other PDFs below. The Secret Of The Rosary written by St. Louis de Montfort and published by TAN Books is an excellent introduction to the Rosary and it gives the best instructions and meditation ideas for learning how to pray the Rosary. 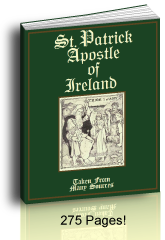 "Probably the finest book ever written about the Rosary; appeals to all ages. Shows the great spiritual power of the Rosary, which is appreciated by few. A miracle of a book. Imprimatur." St. Louis DeMontfort's love for the Blessed Virgin Mary is simply contagious! 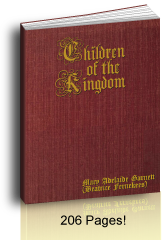 Read it out loud to the little ones or use excerpts from it while teaching the Rosary in a sermon or catechism class. 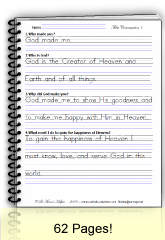 Print these sample worksheets below. The First Communion copybook (from the Baltimore Catechism No. 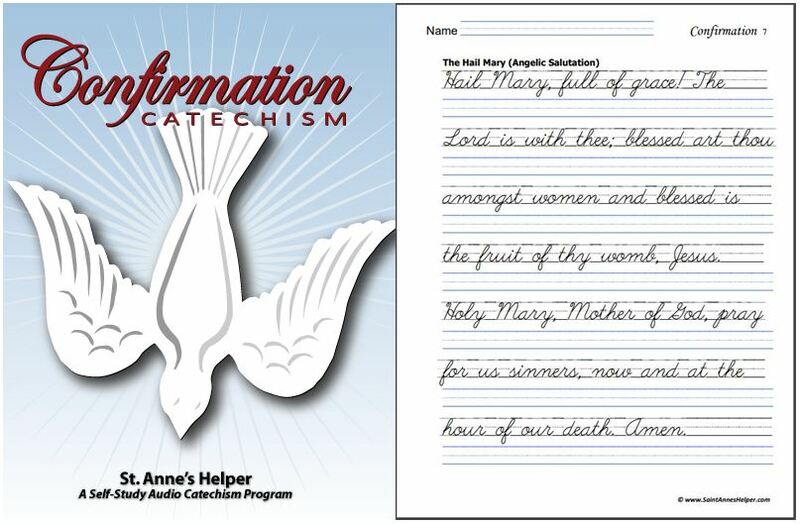 1) comes with both manuscript and cursive writing as does the Confirmation copybook (from the Baltimore Catechism No. 2). Print all three! 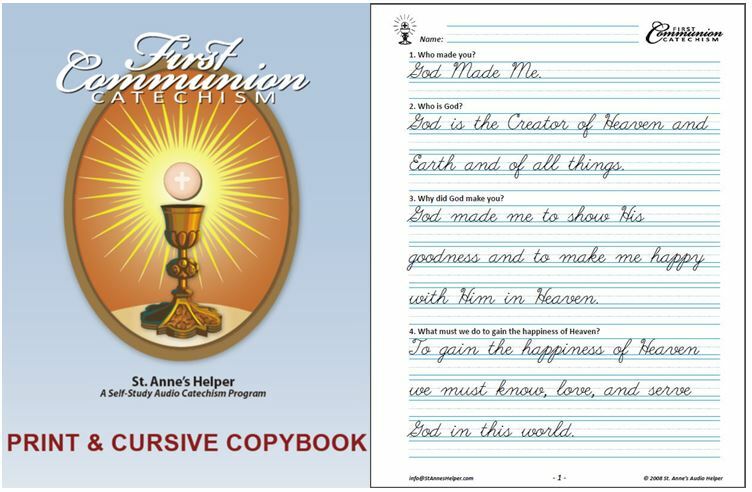 Order our First Communion and Confirmation copybooks here. 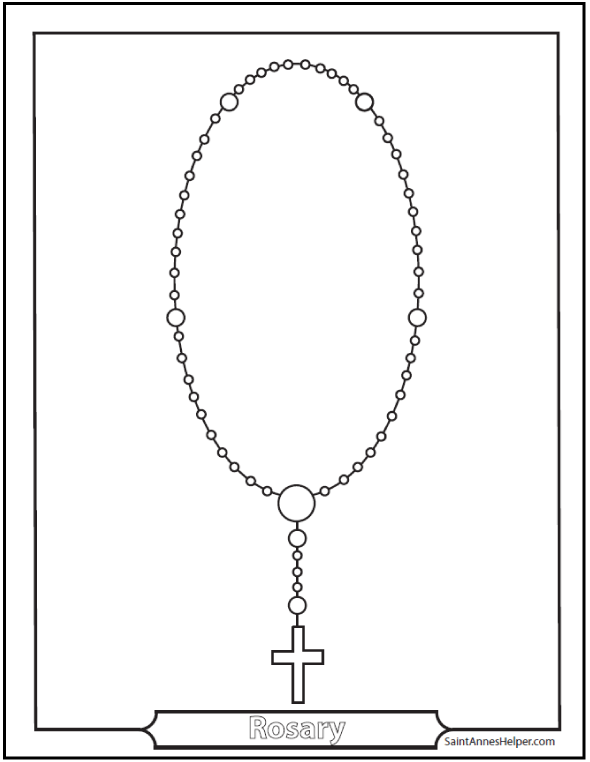 Print our free Rosary PDF to learn how to say the Rosary or to teach others how to pray the Rosary. Learn about the 15 Mysteries of the Rosary using our Rosary diagram. 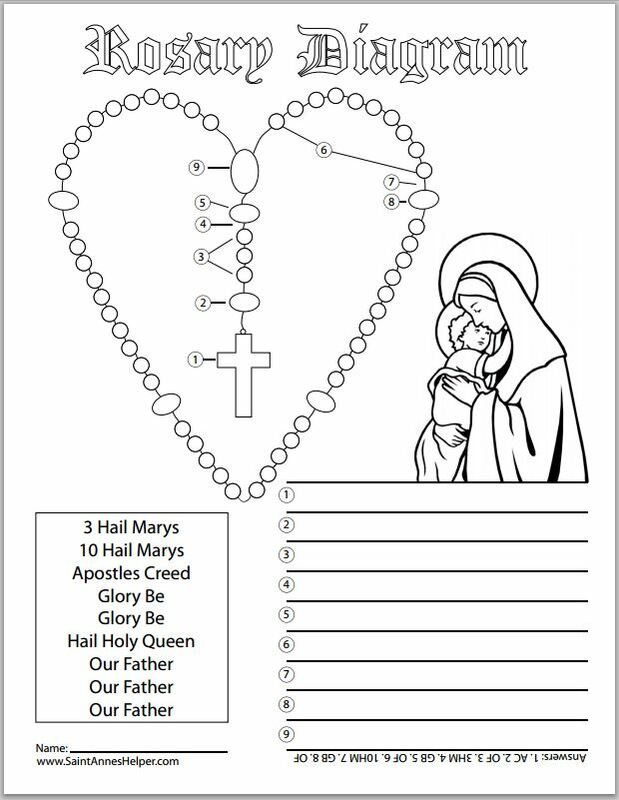 Rosary coloring pages - and Rosary novena notes. Pray the Rosary in Latin - Fisheaters has the Latin prayers. The first Catholic prayers most of us learn are from the Rosary.